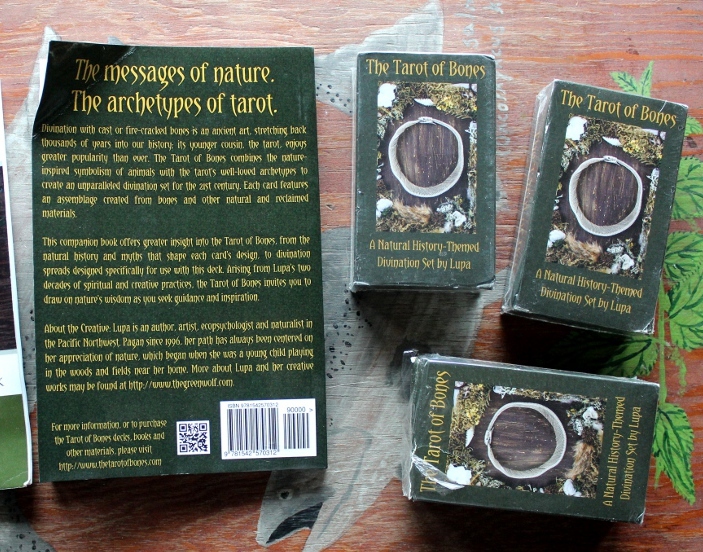 Damaged Tarot Deck and Book at a Discount! Hi, folks! So I have three Tarot of Bones decks and one Tarot of Bones Companion Book that were damaged in transit, and so I’m selling them at a discount! One corner of the cover and pages of the book are bent, but it’s otherwise usable. The decks all have minor damage to the boxes; the cards are likely fine, but there’s a small chance of a little bit of corner damage to the cards. The book is $14 (normally $20), and the decks are $28 each (normally $35) plus shipping to wherever you are. If you want to buy any of these, email me at lupa.greenwolf(at)gmail(dot)com – thank you!